Lu’s Labs is committed to helping you and your dog through and after the adoption. This page provides a concise list of educational resources to help your dog parenting days. iSpeakDog helps you learn what your dogs do by reading their body language and emotional state. Patricia McConnell, Ph.D., a Certified Applied Animal Behaviorist (CAAB), is an adjunct professor of Zoology at the University of Wisconsin-Madison. 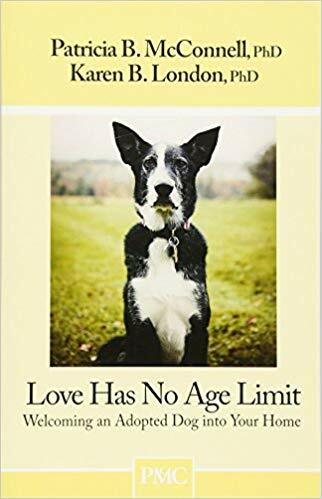 She is an expert applied animal behaviorist who has been working with, studying, and writing about dogs for over 25 years. Stopthe77 shows importance on the fact that 77% of bites come from a dog your kids may know and love; and teaches you how to protect them, both your kids and the dogs. It provides information through informative, and enjoyable videos, posters, and other media that children and adults will enjoy. Dogs, like humans, need adequate amount of rest and a regular bedtime. Sleep Help, a site devoted to promoting sleep health & wellness has a resource guide for pet owners. Whole Dog Journal provides latest informative articles on natural dog health remedies and positive dog training techniques. The Other End of the Leash, the book that, like no other, translates dog to human and human to dog. How to Welcome an Adopted Dog into Your Home.